A teacher appreciation printable. This post may contain affiliate links. These links don’t change the cost of the product however we do receive a small percentage which we use to keep the blog running and buzzing with new content. Hey friends! 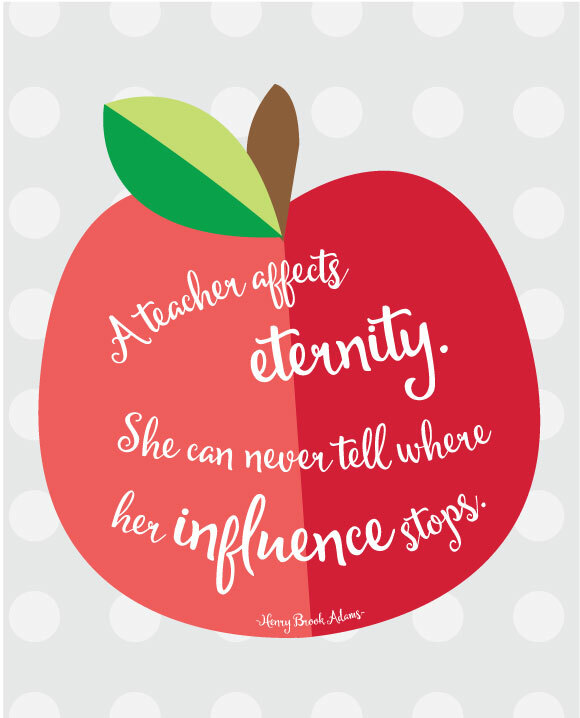 I’m popping in real quick to share a teacher appreciation printable for all of the amazing teachers who help shape our greatest treasures in a way many of us can’t. I bow down to teachers because they have a job I couldn’t do. I’m also fist pumping the air for all of the parents who homeschool because I don’t know how you do it! I wasn’t given the patience for either of those jobs. Heck half of the time I think someone made a mistake by letting me work from home because on occasion my patience walks a short line before the fuse blow. Seeing the hard work and dedication my kid’s teachers but in amazes me. They are spending just as much time with my child as I do during the weekday and with all of the mandated testing and requirements that happens now I’m not sure how they keep it all together. I always wish I had more to send during teacher appreciation week but any token of appreciation is sure to bring a smile to their faces. growing up and some of them were extremely influential in shaping me into the person I am now. I had some teachers in High School who pushed me to find new interests that I still have now. One of my teachers Mr. Hageman and I didn’t see eye to eye at first. I liked to doodle and he always thought I wasn’t listening to his lectures. He would call on me and I would always surprise him by answering his questions correctly. One day after class he asked me to stay after and asked why I was always drawing instead of paying attention and I explained that was how I concentrated. I had him every year after and he was a huge advocate of daily journaling. Half of my journal was filled with doodles but I attribute my love for blogging to his daily journaling sessions. By the end of my four years he had become one of my favorite teachers. Thanks Mr. Hageman! Grab this printable in an 8×10 or 5×7 version. Print it on your home computer onto cardstock paper and frame it or clip it onto a clipboard. I’m making monogrammed clipboards and clipping this printable along with a gift card onto it. If you are like I used to be then you might be thinking great but I’m out of ink! In October of 2015 I got an HP printer and signed up for HP Instant Ink. I pay $2.99 per month, my printer orders the ink and then it shows up at my door so I never even have to think about it. 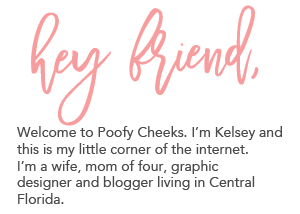 I print all my printables on white cardstock using my HP printer with HP Instant Ink. Use my code INSTANT3 and get the first three months free. While you are at it stop paying a kajillion dollars for white cardstock – they sell 150 sheets of Georgia Pacific brand 110lb cardstock for $5.49 at Walmart! Don’t say I never helped you save a few dollars.